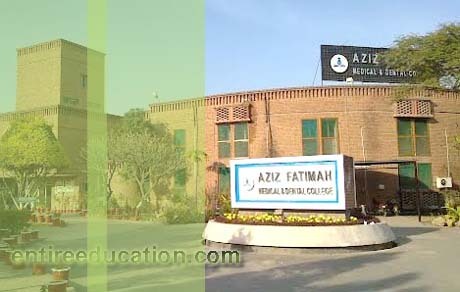 Aziz Fatima medical and Dental College commonly known as AFMDC is a joint project of Ghafoor Bashir Pvt Limited, Aziz Fatimah Trust a Sitara Group’s Public Welfare entity and Al Habib Group of Colleges. The college is located in Faisalabad. The college has strived hard under the supervision of its Authority to gain the status in medical colleges Punjab and to achieve honor and distinction. The college is recognized by the Pakistan Medical and Dental Council. The college got recognition from PMDC in 2011. The building of the college has magnificent structure. The atmosphere of the building is airy and spacey. The infrastructure of the building is also excellent with many facilities like sports courts, mosque, hostel and auditorium. The AFMDC has also an attached teaching hospital where the students can perform their clinical practice. There are also state of the art lab facilities in all departments of AFMDC. Aziz Fatimah Medical and Dental College has state of the art lab facilities in all departments and also attached teaching hospitals for clinical students, where they practice for their relative discipline. 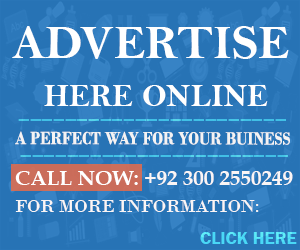 The faculty members of all departments are highly qualified and have specialized degree in their field. AFMDC provide a healthy environment for study to its students. Aziz Fatima Medical and dental college recently offer only one degree which is bachelor of medicine and bachelor of surgery (MBBS). This is a 5 years academic study program. The course curriculum and degree is recognized by PMDC. Candidates with HSSC pre-medical and appeared in UHS entrance test. Other requirements are as per PM & DC rules. Aziz Fatima Hospital is attached with AFMDC as teaching hospital for clinical practice of the medical students. The hospital was established in 1980. AFH is a 300 bedded hospital affiliated with AFMDC for house job of 47 students by PMDC in Medicine, Gynae and Surgery during the year 1999. The hospital has all major and minor specialties and state of the art equipment. The hospital is giving health services to the people of its adjacent areas on NO PROFIT NO LOSS since 1978. The expansion of the AFH is approved and work will be started for its expansion soon. After expansion AFH will become 500 bedded health care center. sir g aziz fatima medical college ka merit aggregate kya hai?? This medical college accept UHS Entry Test and Interview weitage for admissions. UHS Test 40%, Interview 10% and FSC Marks 40%, Matric Mars 10%. admission 2014 start ho gae hain? Currently last date of Form Submission is not final. When admission date announced then we have updated on the website. Is mcat compulsory for admission in AFMDC? Yes, UHS Entry Test is compulsory for admission in Aziz Fatima Medical College. kindly sir plz inform me last date of admission in AFMDC?? Currently, admission date are not confirmed. But admission will open now. sir last date kia ha aziz fatima ke form submit krwna kee??? You will confirm regarding admission date from medical College.